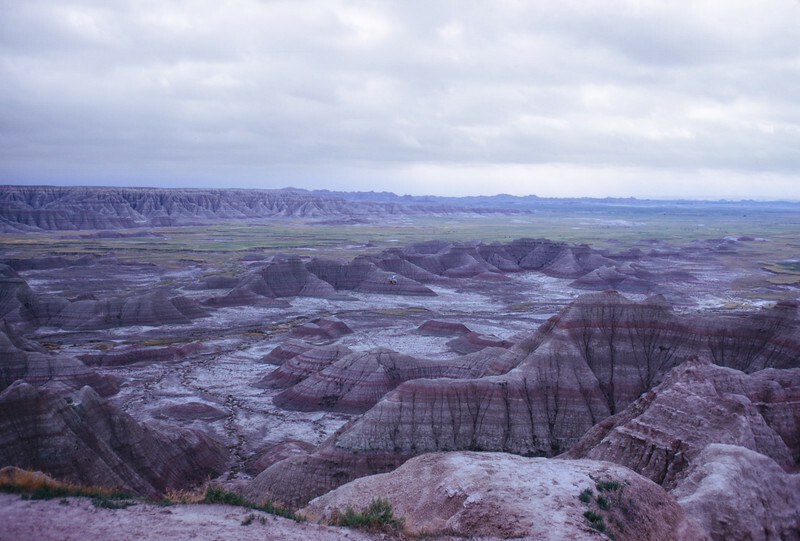 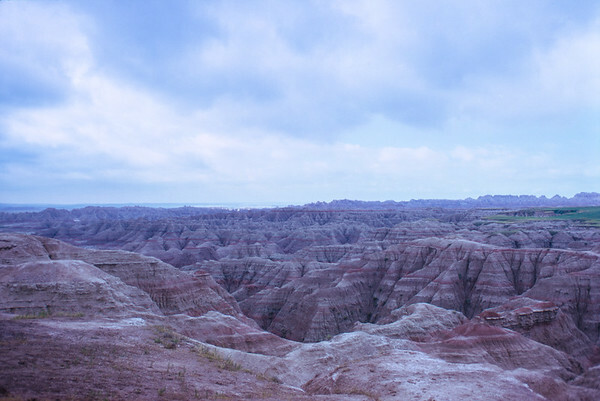 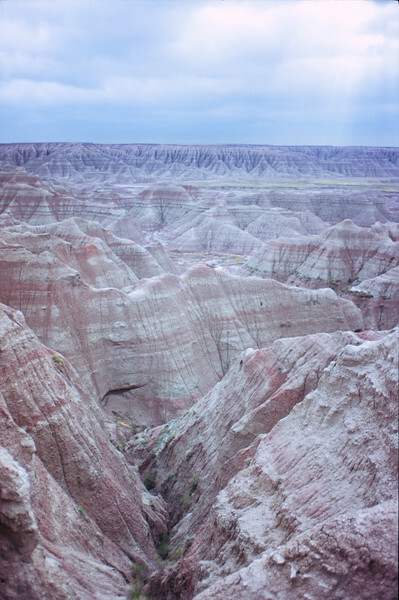 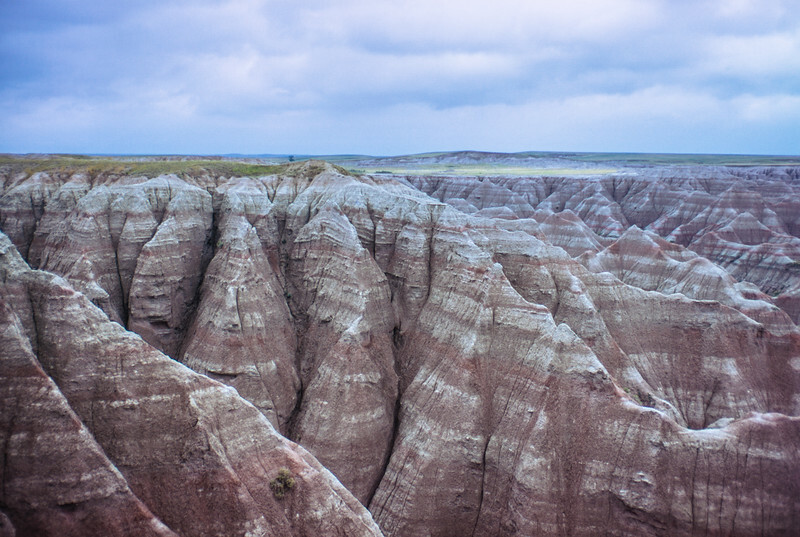 Originally the "Badlands National Monument" it was re-designated a national park on November 10, 1978. 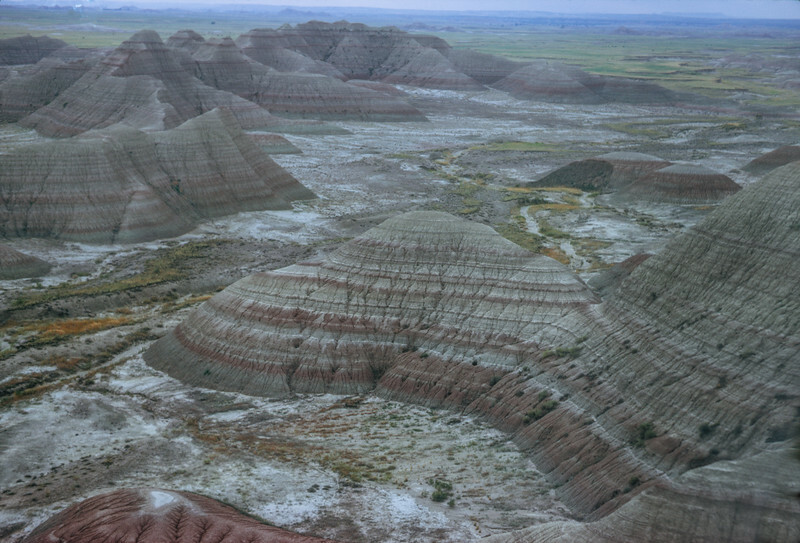 244,000 acres of sharply eroded buttes, pinnacles, and spires blended with the largest protected mixed grass prairie in the United States. 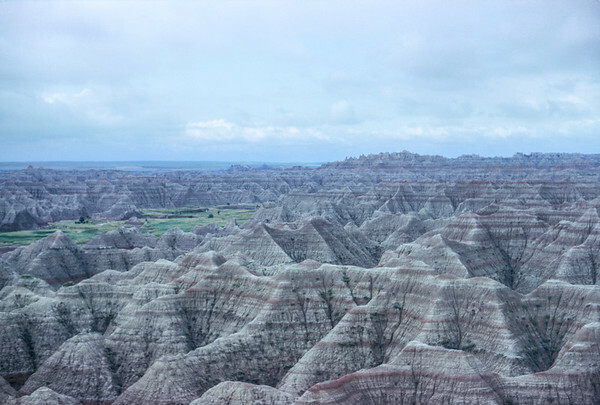 July 1973 with John Kozub and Dave Richards. 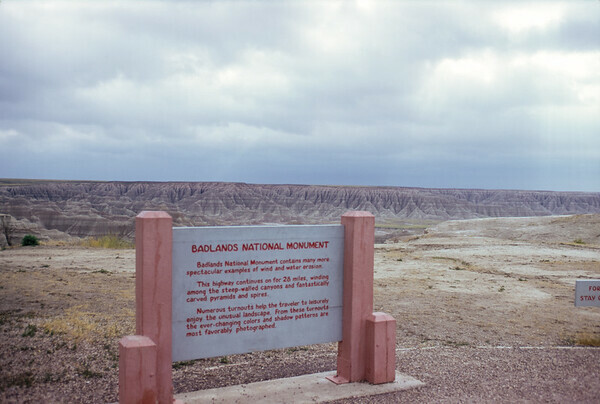 Highway 240, Badlands National Monument now called National Park. 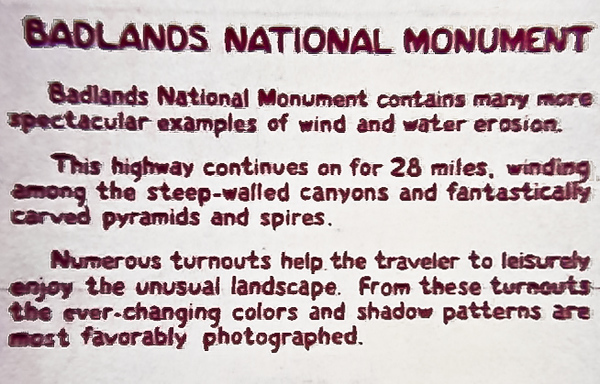 From July 1973 Super 8 film. 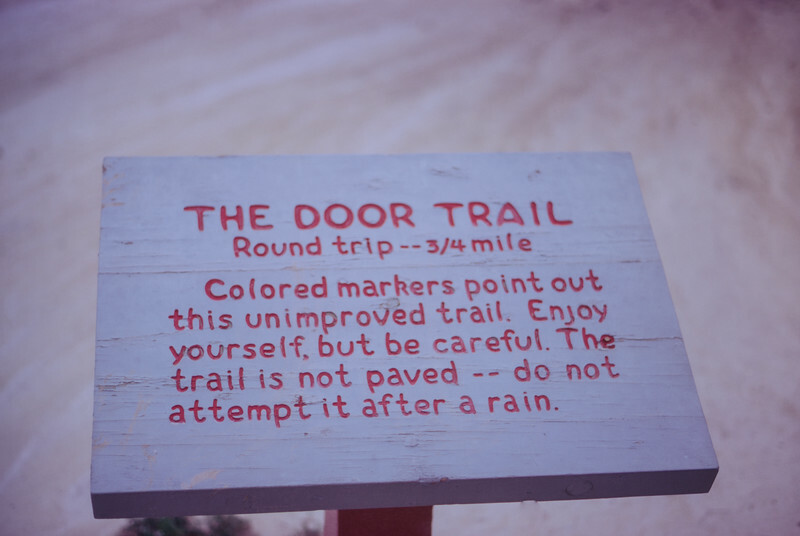 This sign was made prior to the area becoming a national park. 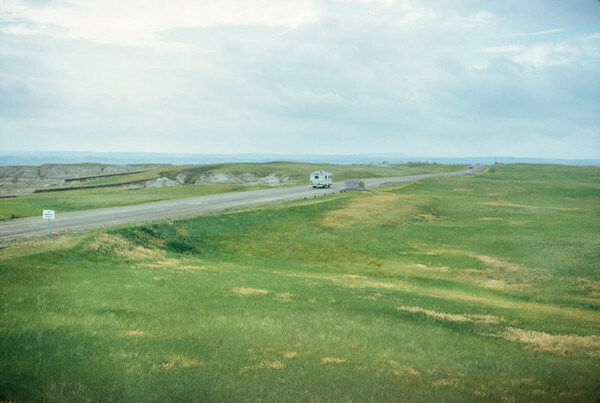 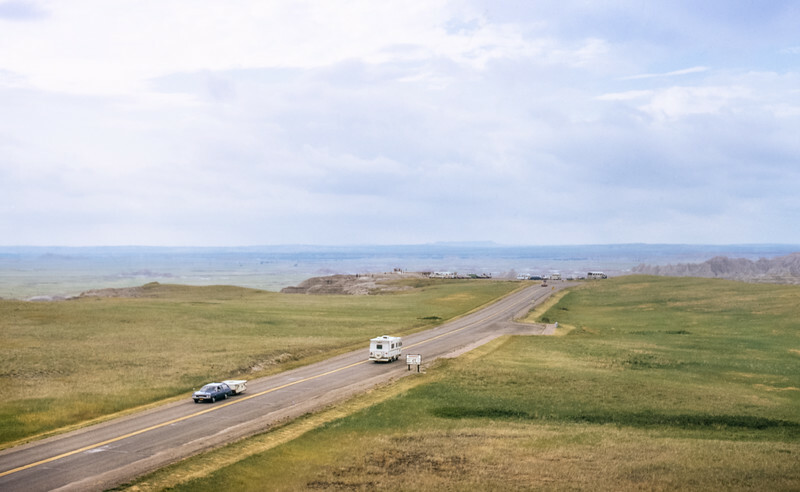 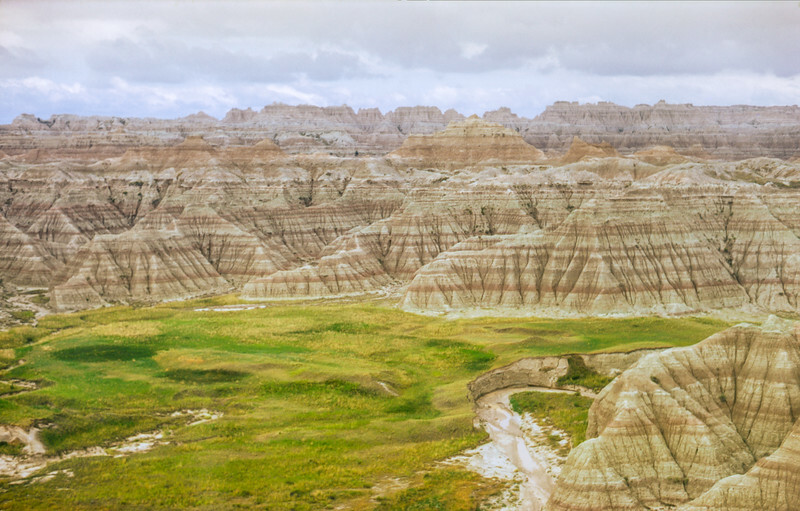 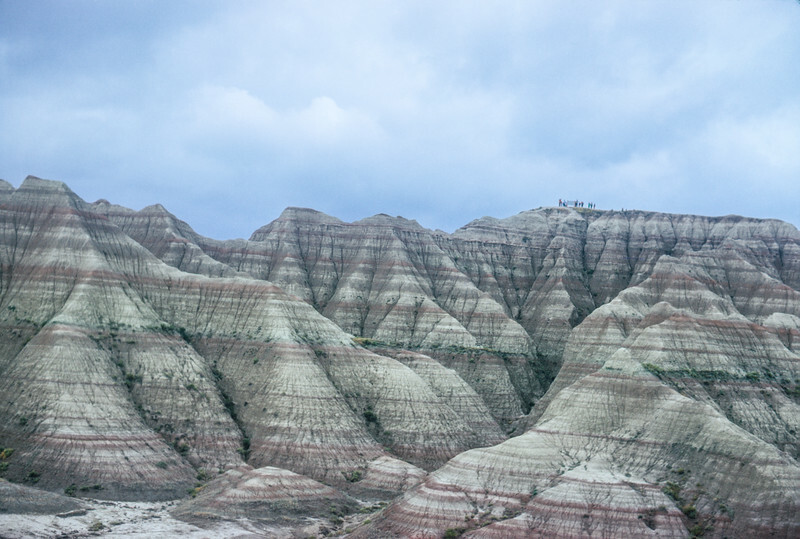 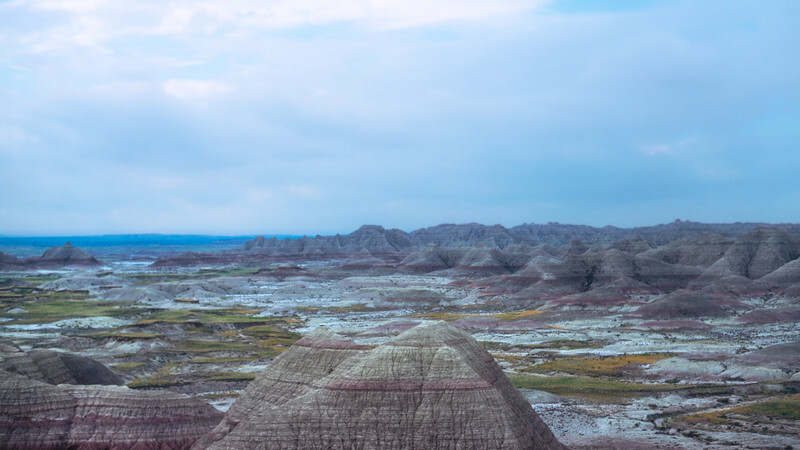 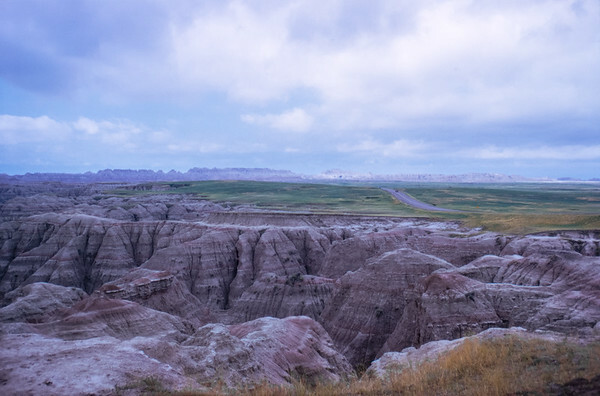 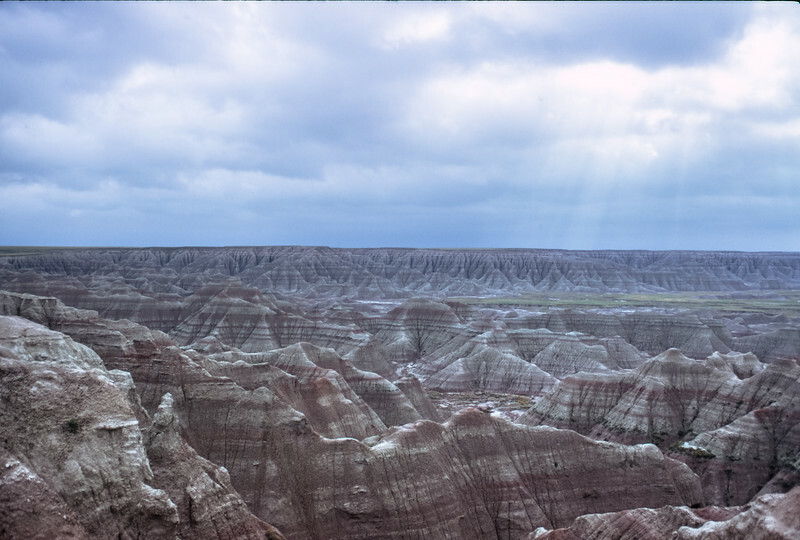 What better way to photograph the Badlands than from the air in a Bell 47G-2 helicopter. 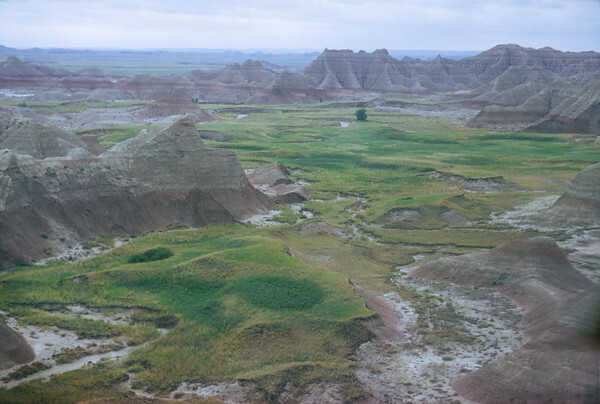 The "Entering Badlands" sign from the air. 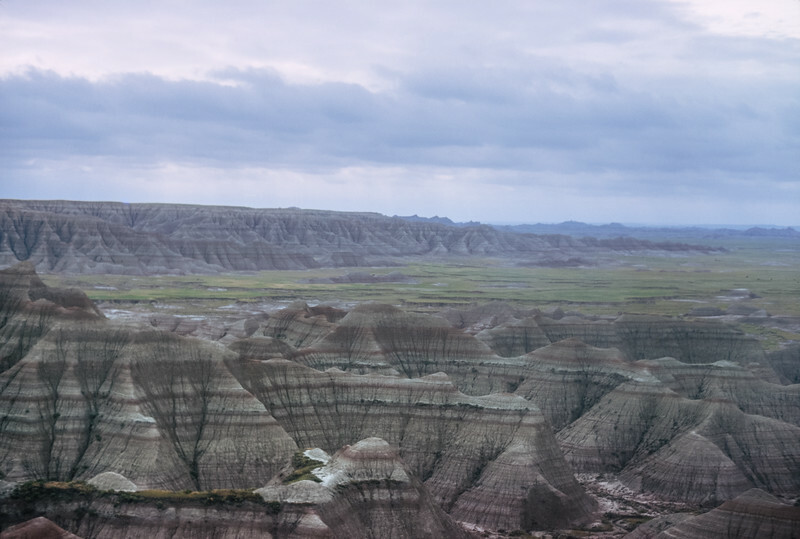 What better way to get a perspective than from a helicopter. 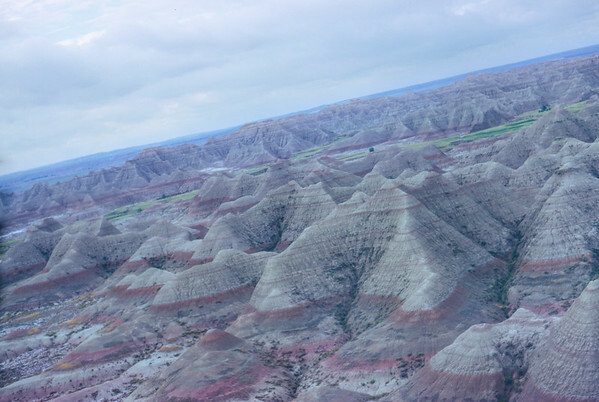 Aerial view of the Badlands in a Bell 47G-2 helicopter. 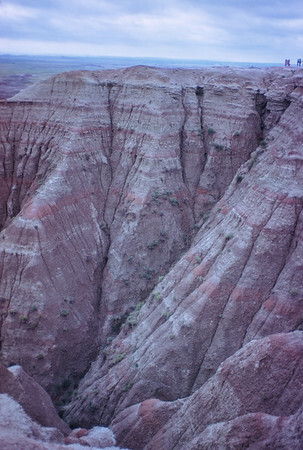 Dropping down to the canyon floor for a low flyby in a Bell 47G-2 helicopter. 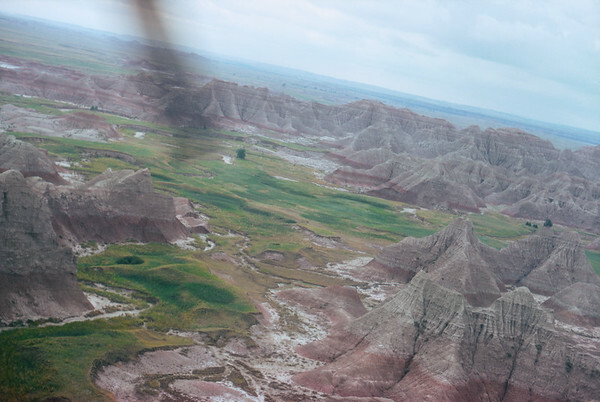 Still airborne in the Bell helicopter, the Badlands are a sight to see! 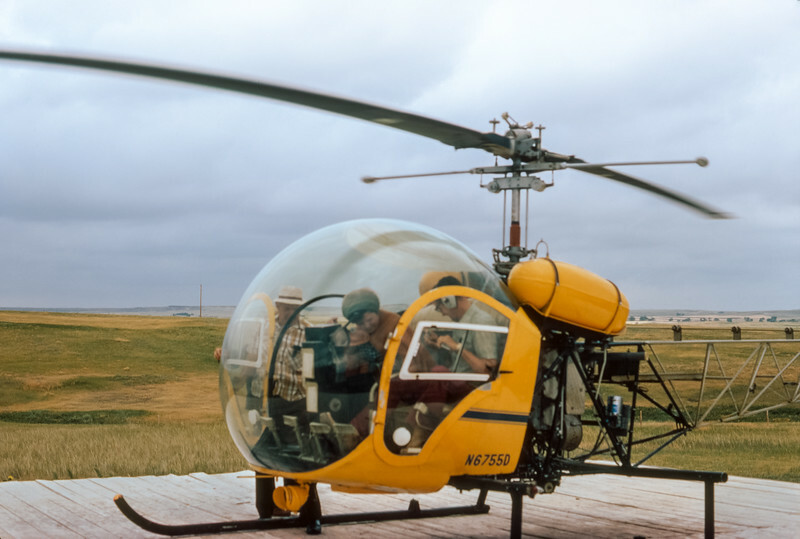 Note the helicopter blade in the picture. 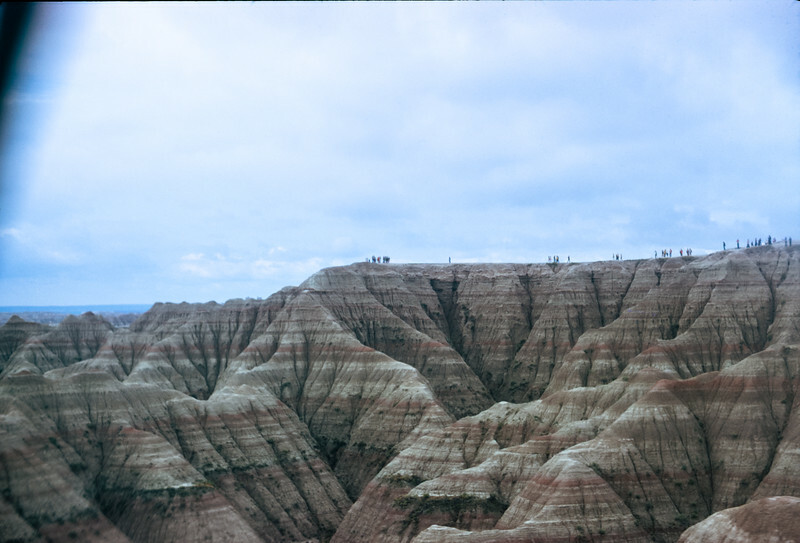 Note the helicopter center frame.